DBF View for Windows Mobile - Free Windows Mobile software DBF view for Pocket PC is a utility that is able to display DBF files (FOX, Dbase, Delphi, etc.). It is possible to find, select or sum according to any field. 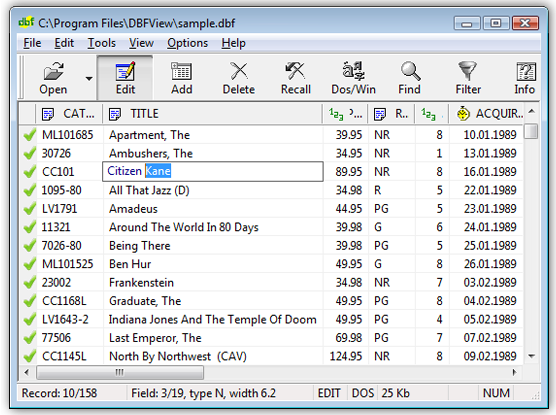 DBFView 4.1.3 Free Trial - DBF Viewer and DBF Editor for Windows DBFView 4.1.3 Free Download Trial - DBF Viewer and DBF Editor for Windows - View, edit and print your dbf files!